San Antonio is city with many sides. Located in south central Texas, it holds the distinction of being the 7th most populated city in the US. However, it feels a little differently than your typical metropolitan area might. Things are just bigger in Texas, so San Antonio is a bit more spread out and less densely populated than many other major hubs in the US. The town has a rich history. It was first named by Spanish explorers in the late 1600s in honor of its namesake, Saint Anthony of Padua. I traveled there this past year for the first time and I’ll admit, I wasn’t entirely sure what to expect when I disembarked the plane. The only preconceived notions I had of Texas were of 10 gallon hats, big belt buckles, cattle ranches, and the like. However, I found San Antonio to be a bastion of culture, filled with rich history and interesting locales. I was lucky enough to enjoy a stay near Riverwalk, which is a huge center for tourism, dining, shopping, and entertainment. Encircled by a winding river, the quaint cobblestone streets are tucked under the busy downtown traffic, providing a cool oasis and a scenic place to stroll. The first impression San Antonio gave was most certainly the food! It’s the definition of authentic Tex-Mex and each restaurant is sure to put their own spin on the flavor, so you won’t have the same meal twice. The drinks are nothing to shake a stick at either – from prickly pear margaritas to more traditional fare, this is absolutely a town that knows how to eat and drink in style. Even the tucked-away holes in the wall that were well outside of the tourist district did not disappoint, and the prices were surprisingly reasonable for a city of this size. My visit happened to coincide with their annual jazz festival, which was a site to behold. Throughout the week, I saw signs of several other planned events and festivals. It became quickly apparent that there isn’t any shortage of things to do here. If you’re looking for a culture experience during your visit to San Antonio, it shouldn’t be difficult to find an event that fits the bill. San Antonio blends a lot of culture and history into one town, so expect their festivals to be equally diverse and exciting. Because of the reasonably temperate climate allowing them to operate almost year-round, San Antonio is able to offer more outdoor festivals than many other cities. If you’re looking for a trip full of rich history, great food and drinks, and plenty of stimulating cultural activities, then San Antonio should be high on your list of places to visit. There are famous historical sites, like The Alamo, that have proven to be timeless tourist favorites. 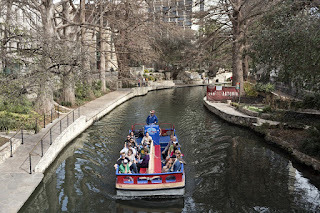 There is certainly a lot of the traditional Texas in this city, but I found San Antonio to be diverse and different, with interesting and unexpected twists almost everywhere you go. From the tourist district to the hidden gems that reside off the beaten path, San Antonio is far more than typical. Tourists from all over the world flock to the Canary Islands each year. They are drawn by its stunning beaches, balmy weather and volcanic landscape. The Canary Islands are a grouping of Spanish islands located just off the coast of Africa. 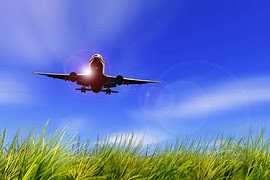 The weather is favorable year round, making it one of Europe’s most popular holiday destinations. Each of the islands takes on a personality all its own. There are seven main islands to choose from and if you can’t seem to pick a favorite you can always take excursions to visit neighboring islands. Why not visit them all! Here’s an overview of what each one has to offer its tourists. Tenerife is the largest of the Canary Islands. It boasts sandy beaches and an active nightlife. The interior of the Tenerife is home to Mount Teide which is the 3rd largest volcano in the world. Touring around the island you’ll come across a variety of banana plantations and parks to explore. When considering where to stay on holiday, view this luxury presidential suite available for home exchange through International Vacation Home Exchange. Lanzarote is known for its volcanic terrain. The Timanfaya National Park is one of the main attractions on Lanzarote. The landscape of the island is most intriguing and may leave you feeling as if you just landed on the moon but rest assured the coastline has some of the most breathtaking views. 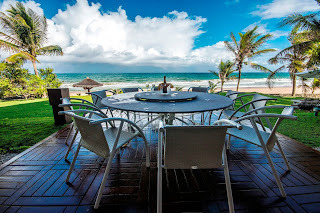 There’s an abundance of fabulous restaurants and bars to choose from with many offering some amazing views of the Atlantic. Gran Canaria is often referred to as a “continent in miniature” because of its variation in terrain. The northern part of the Gran Canaria is green and leafy, the interior of this island has a mountainous terrain and there is dessert terrain to the south. Needless to say there are lots of beach and water activities on Gran Canaria to enjoy. 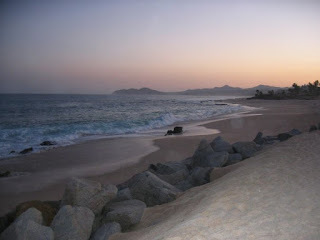 Fuerteventura is the best choice for beach lovers. This island boasts 150 beaches to explore. 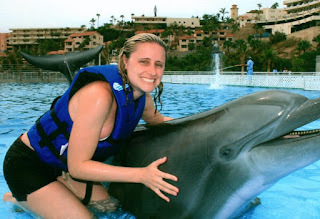 Visitors can enjoy an abundance of water sports. It’s a major holiday destination for surfers and windsurfers. There are 3 lesser known islands to explore on your holiday. La Polma being the greenest and has the clearest sky, perfect for star gazing. 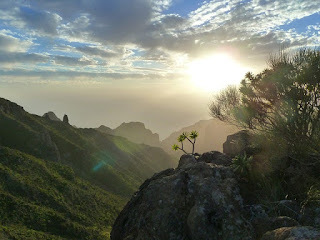 La Gomera and El Hurro are well known for their forest trails. 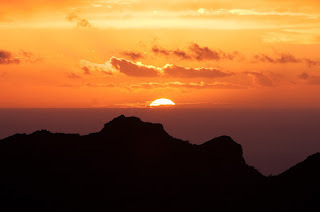 Looking for additional information on what a Canary Island holiday has to offer? Contact one of IVHE’s Personal Travel Researchers to help plan out the best way to get the most out of your island hopping holiday. The United States and Canada share more than just a border. The two countries also share a spectacular sight that attracts millions of tourists every single year. And it all started with the last Ice Age some 12,000 years ago. When the ice began to melt, it created a geological wonder of what is now called Niagara Falls. 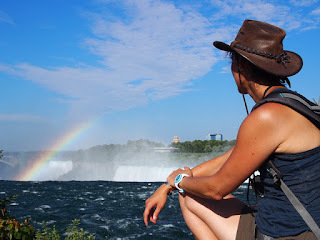 I promised that I would one day write a post about Niagara Falls. And here it is! 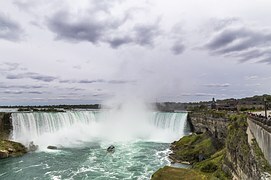 Comprised of three waterfalls – American Falls, Horseshoe Falls, and Bridal Veil Falls – Niagara Falls is fueled by water from the Niagara River, which drains Lake Erie into Lake Ontario. An average of four million cubic feet of water falls over the crest line every minute! You can view the falls in either the American side or the Canadian side. If you live in the states, you can simply fly into Buffalo, New York. 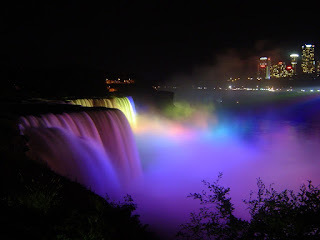 Or if you have Toronto on your travel list, you can check out Niagara Falls during your trip. A reminder, you will need a passport to cross the border into both countries. The cities surrounded Niagara Falls tend to get busy during the summertime, when temperatures are warm enough to see the falls during both the daytime and nighttime. In fact, from the Canadian side, floodlights will illuminate both sides of the falls for several hours after the sun goes down. There are several paths that you can walk along to see the water falls and Niagara River. The oldest tourist attraction at Niagara Falls is the Maid of the Mist boat cruise. During this cruise, you will get an up close and personal view of all three waterfalls. Cruise boats have been operating since 1846. You can also book helicopter tours or even a helium balloon ride. If you want to avoid the crowds and don’t mind cold (and I mean bitter cold) temperatures, you can certainly tour Niagara Falls during the winter months. The snow and freezing temperatures only enhance the beauty of Niagara Falls. Many of the abovementioned tourism options may not be available during the winter months. However, the trails are still open so you will be able to walk around and enjoy the serenity of Niagara Falls during the winter without the herds of tourists. Just be sure to dress warm. After you have taken 500 photos of the Niagara Falls, there are other places around the falls that you should definitely check out during your trip. · Experience a unique view of the falls from the Niagara Sky Wheel. The 175-foot tall Ferris wheel is located in Ontario, Canada. · Walk through the Niagara Parks Butterfly Conservatory. The conservatory is also located in Ontario. · Take a hike through the Niagara Glen Natural Reserve and explore the Niagara River. · Take an elevator to the observation deck to Skylon Tower. · Get some ideas for your garden with a tour of the Niagara Parks Botanical Gardens. If you need a place to stay during your visit to Niagara Falls, there are two International Vacation Home Exchange properties in Toronto. You can drive, or take a bus or train to get the water falls. Both the bus and the train have several departures during the day. Just be sure to purchase your tickets in advance. And as always, safe travels (and take me with you). 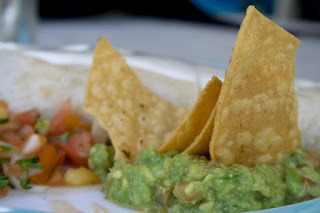 Nothing celebrates summer like a freshly made bowl of guacamole paired with a nice frozen margarita or an ice cold beer. It’s the perfect starter to enjoy while you fire up the grill at your summer home exchange. If you’re anything like me, you are constantly on the hunt for a quick and easy recipe that’s a guaranteed crowd pleaser. You might call this one my “signature dish” and I’m happy to share it with you. Cut the avocado in half and remove the seed. Scoop out the avocado into the bowl and cut it into pieces. With two forks mash the avocado into chunky bits. Add the sea salt, garlic salt, and pepper and combine. Next add in the onion and jalapeño peppers and mix together then gently fold in the tomato. The real secret to great guac is a perfectly ripened avocado. The only way I know of to check ripeness is to squeeze them in the stores but this causes bruising and ruins a perfectly good avocado. To avoid this, you can choose an avocado that’s not yet ripe and let it ripen at home but that requires a lot of patience. I haven’t yet come across a fool proof way to check for ripeness without bruising. If you know of any tips that have worked for you in the past I’d love to hear about it in the comments sections below. You haven’t made any summer plans yet? IVHE.com has luxury homes around the world available for home swap. There’s sure to be a property wherever you plan to dip your toes in the sand this summer. Check out this fabulous home on the Jersey Shore or this beachfront luxury California home. Plan a family reunion at this luxury, oceanfront property in North Carolina. 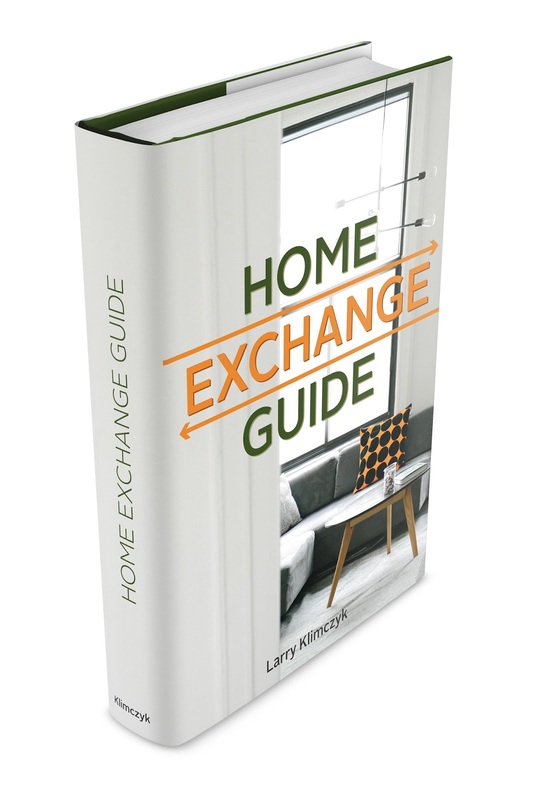 One of the many benefits of home exchange is having a full kitchen at your disposal. 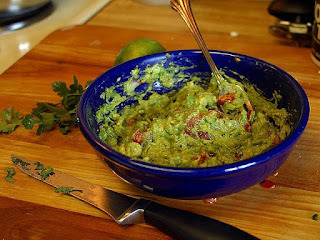 There will be plenty of room in the fridge for stocking up on all the guacamole ingredients, margaritas and cold beer. You’ll be able to sit back, relax and try out this easy, crowd pleasing recipe. There’s no better way to cap off a full day of sun and beach activities. 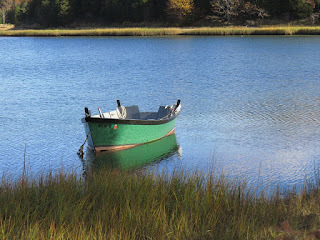 Jutting out to one of the most easterly locations in the United States is Cape Cod. 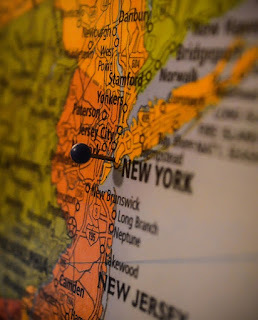 As if hesitant of reaching out too far into the Atlantic, the peninsula suddenly turns in an a northerly direction and then points back slightly toward the Eastern Seaboard like it does not want to completely forsake its motherland. Yet reach out away from the continent it must. The geography of Cape Cod has been a formative factor in its character. At the very end of the Cape is Provincetown. The first white settlers, the Pilgrims from England, arrived in 1620. 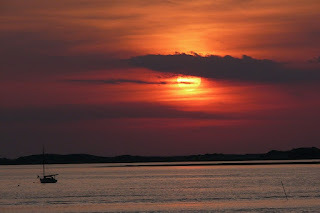 Though they were off-course, Provincetown Harbor proved to be further east and have calmer waters than the mouth of the Hudson River. Since the first white non-conformists arrived, it has been a Mecca of non-conformity ever since (though the Native Americans there were ever non-conformists on the world stage). The Pilgrims eventually settled north of Cape Cod, but the Cape remains an important part of American history. Provincetown had a vibrant whaling industry, and adventurous souls sailed from the harbor to join the hunt. The whaling industry soon faded, and in the early twentieth century, artistic souls began migrating to Provincetown. Arrivals of such notables as novelist Susan Glaspell, Eugene O’Neill and others caused The Boston Globe in 1916 to declare Provincetown, “The Biggest Art Colony in the World.” Visual artists and actors also settled in the community. In 1940, Tennessee Williams arrived in town. In more recent history, American Poet Laureate Stanley Kunitz was an active member of the literary community. I had the privilege of meeting Mr. Kunitz in New York City; he was a true mentor for poets. He was 100 years old when he died and in his later years portrayed a kind of prophet-poet image—very rare for a modern poet. A discussion about lively Provincetown would not be complete without mentioning how gay-friendly it is. When I was there is the early 2000s, it was a sunny, beautiful, breezy day; I still see the many rainbow pride flags blowing in the wind backlit by sunlight. It was the only place I have been in the entire world where as a heterosexual, I felt like I was the minority. Provincetown remains an enclave of quiet, artistic rebellion and acceptance—maybe more now than ever. There is more to Cape Cod than just Provincetown. The island of Nantucket is a favorite getaway. Refined and distinctive vacation homes abound. IVHE has this classic luxury exchange home in Nantucket sure to please the most discriminating of vacationers. One of the wonderful things about Cape Cod is the variety of people. 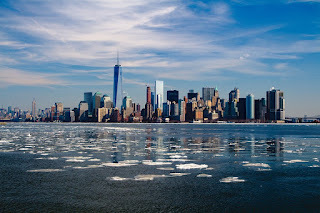 For some reason, New York psychologists and psychiatrists flock there in the summer; this is what in part inspired the comedy, “What about Bob?” Maybe I will go there in August the next time I need to head shrunk (all too frequently I must confess). While New Yorkers and other vacationers flood the Cape in the summer, there are salty, year-round residents who give the place its character and are the backbone of the community. Just as varied as the people in Cape Cod are the restaurants. 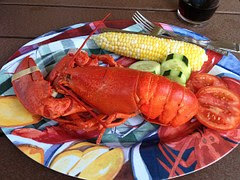 You can get Cape Cod’s famous lobster in everything from fancy to casual environments. I had lobster in a very casual restaurant and it was tasty! Come enjoy the iconic beach houses and fences so indicative of this special place. View these IVHE luxury vacation homes, and see how it works. 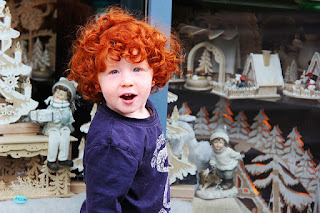 We’ve been fortunate enough to travel extensively with our children over the years. My kids have passports filled with stamps to prove it but I can remember a time when the mere thought of sightseeing with kids in tow was more than just a little intimidating. 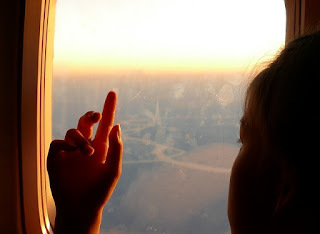 Here are a few tips I’ve acquired over the years that will help make the travel more enjoyable for both kids and parents alike. When touring places like abbeys and cathedrals, I’ve found they usually offer some fun activities to keep kids busy. This might include a scavenger hunt, a checklist or some other activity that when completed the child can turn in and receive a prize. It’s worthwhile to inquire at the ticket counter if they offer any of these activities or you can come up with some on your own. They have always proven to be great family fun and you can even learn a few things yourself along the way. 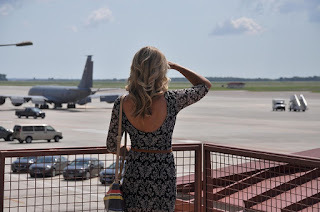 Always try to book private tours whenever possible. Large group tours are tough on the little ones. They have a difficult time seeing and hearing what the guide is saying and can lose interest easily. When you book a private tour you can tweak the agenda to suit the age of your children and move at a pace that keeps the young ones interested. It’s a good idea to not only purchase your tickets in advance but to book any Fast Track or VIP packages that are offered. The cost is a bit more but you’ll save a bundle in stress and aggravation. Little legs can only walk so long. Most major cities around the world offer some type of city bus tour. I think we’ve been on every one of these types of tours in just about every European city. They are a great way to give the kids a rest (grownups as well) and still learn some history or facts about the area. They also provide an easy, economical way to get around the city. A well-deserved treat is always in order after hours spent touring the sites. Gelato, a toy or the promise of a dip in the pool has always been a few of our favorites. 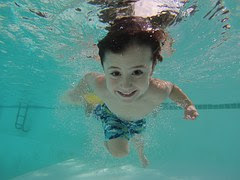 Staying in a home exchange property with a pool is great way to travel with kids. IVHE.com has many luxury homes all around the world and many are available with pools. Check out the amazing pool offered at this vacation home located just outside Paris or jump into the pool located at this exclusive property in Siena after a full day of sightseeing in Italy. What kid wouldn’t endure a 3 hour Vatican tour if he knew he’d be doing a few cannonballs in that pool at the end of the day? The most important thing to remember is that planning ahead is key when traveling with young children. Sadly, the days of “just winging it” on holiday are long gone but if you put the time into a well thought out and organized holiday you can enjoy a trouble free get-away and be able to show your children what most kids only get to read about in history books. 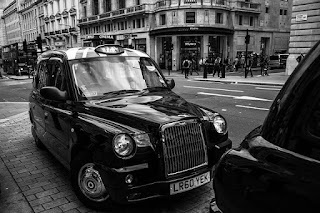 Everyone’s familiar with the Black Cabs seen around London but if you think they are the same as any other taxi service around the globe then think again. Many would argue the London’s Black Cabs are the most reliable and professional cab service in the world and there’s good reason for that. Anyone interested in perusing a career as a Black Cab driver will need to pass a grueling test known as “The Knowledge of London” or “The Knowledge” for short. This test has been given to prospective Black Cab drivers since 1865. 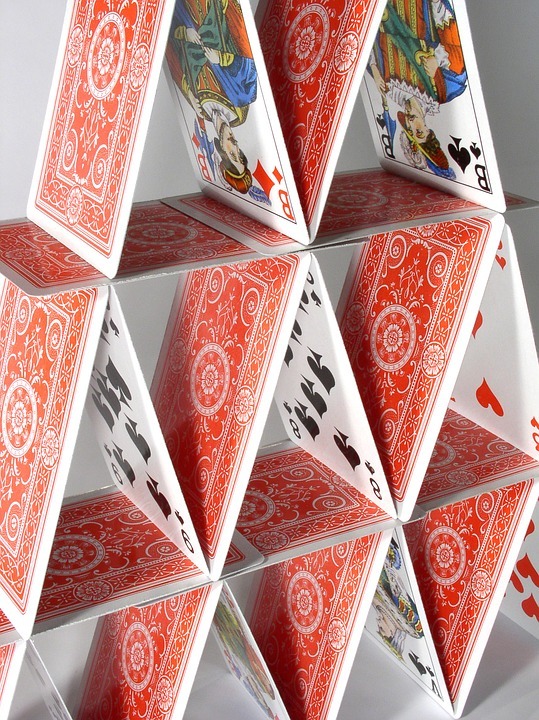 Most candidates spend anywhere from 2 to 4 years in preparation for this intense exam. Candidates must know 25,000 streets, 100,000 landmarks and 320 main routes. They are required to know every minute detail within the 6 miles radius of city center. You won’t find any GPS or Sat Nav devices in any Black Cab. 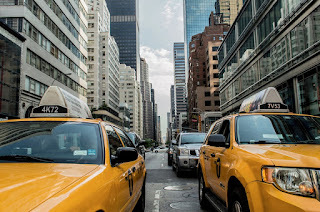 Your driver will know the city well enough to know the best route to your destination, how to avoid traffic and will get you there in record time. No need to google an address to give to the driver either, just let him know where you are heading and rest assured he’s familiar with the location and will know the best route to get you there. You’ll find these elite drivers to be a wealth of information. They are a great source for information about the city, travel advice, recommendations or just to hear a few amusing stories. You are always guaranteed an interesting conversation on your journey. The look of the traditional Black Cab has changed in recent years. Today not all Black Cabs are black. You’ll find many in an array of colors or multi colored. Often they are covered in advertising. 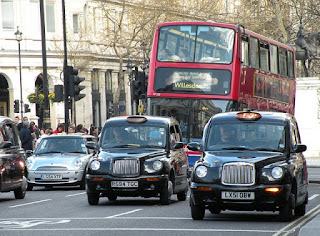 Almost all Black Cabs are owned by the driver and operate as their own independent business. When you step inside a Black Cab it’s almost as if you’ve just entered the driver’s home. I’ll never forget the look on a driver’s face the time I hopped in a cab with a friend visiting from New York when she began unwrapping a turkey sandwich she had in her bag. After being scolded for her lack of Black Cab etiquette, she argued that she always eats while riding in NYC cabs and couldn’t understand why there was an issue. I’m sure he got a lot of millage out of that story by using it to entertain his next several passengers. With all those years of hard work and preparation Black Cabs are, needless to say, not the most economical way to get around London. 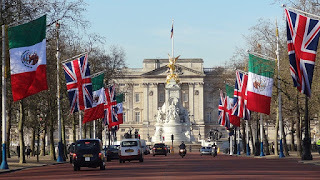 If you are trying to stick to a budget on your London holiday then there are a host other more cost effective ways to get around the city but no trip to London is complete without at least one Black Cab adventure. Experience London as a local by choosing one of International Vacations Home Exchange’s England properties for your next home swap. Stay in this contemporary waterside flat or this central London 2 Bedroom flat and after a day of sightseeing you can trust a Black Cab to get you home safe and hassle free. Just be sure to never eat your lunch on the ride, it’s a dead giveaway you’re a tourist.